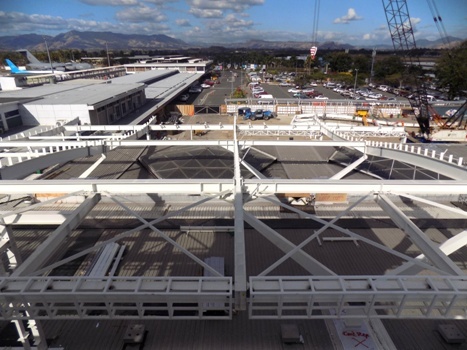 The upgrading of the Nadi International Airport Terminal is progressing well, with works nearing close to fifty-percent and completion targeted by mid 2016. Airports Fiji Limited Executive Chairman Faiz Khan says maintaining the airport operational is the main priority during the milestone project worth $105 million. Most of the works are being carried out at night when there are no flights – to ensure passengers are not affected. However, Khan says there will be some disruption with areas being cordoned off and duty free spaces becoming smaller to allow for construction. Khan is calling on all Fijians to be patient, support and understand the works and upgrades currently being done to complete the project. He says when the renovation is complete; the Nadi International Airport will be the pride of Fiji with a modern look, more spacious and convenient. Khan says most importantly it will further enhance Fiji’’ image as a top tourist destination complementing it’s efforts to attract more visitors.